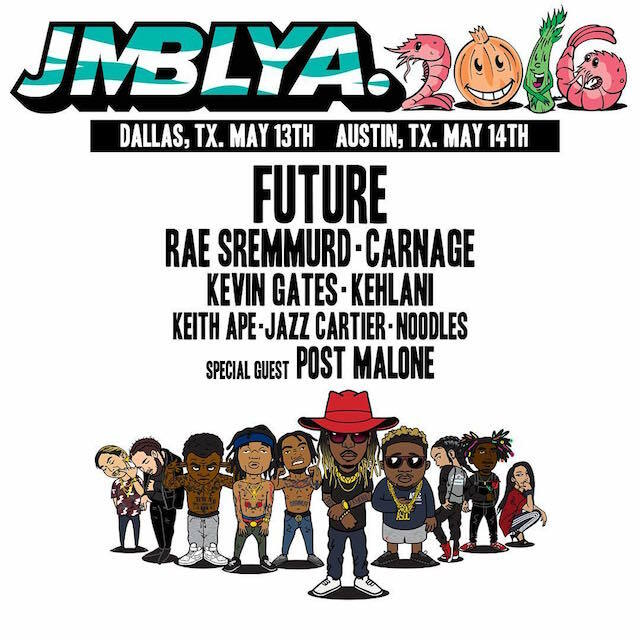 The lineup has officially been revealed for this year's JMBLYA Music Festival. Performances for this event will include Future, Carnage, Post Malone, Kehlani, Post Malone, Jazz Cartier, and more. Expect festivities to go down May 13th in Dallas, and May 14th in Austin. Peep the full lineup below.